3 Non-correlated trading indicators that analyse Price, Volume and Average Trade Size. Together they pinpoint market turning points and changes in trend direction. I use them every day in my Emini day trading. But they work equally well for trading Forex, Commodities and Stocks. Remember, if you’re trading with just price-based indicators, you’re missing out on 2/3rds of the available information. 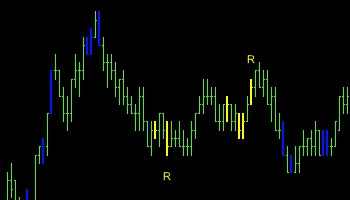 Better Sine Wave analyses Price cycles and trends. This is an improved version of John Ehlers’ Hilbert Sine Wave. It plots cycle entry points when the market is in a trading range. Then when the market breaks into a trend move, the indicator signals early entry and holds a position right to the end of the trend. I wouldn’t trade without it. Works on any chart, any time frame, no inputs to optimize. “I owe a lot to Better Sine Wave – it’s paid for itself 10 times over already.” Adam M.
Better Momentum analyses buying and selling Volume. 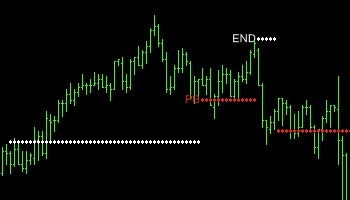 The classic momentum indicator calculates changes in price. This improved momentum indicator is based on changes in buying and selling volume. Declining buying volume always precedes a market top and vice versa for market bottoms. The Better Momentum indicator pinpoints these turning points and plots bullish/bearish signals. “Better Momentum has become my most valuable trading tool.” Jack B. Better Pro Am analyses Average Trade Size. The last part of the puzzle is knowing what the Professionals and Amateurs are doing. You want to follow the Professionals and “fade” (do the opposite of) the Amateurs. The blue and yellow PaintBars show when the Professionals and Amateurs are active. The volume patterns (No Demand, Profit Taking, RAMBO) tell you what they’re doing. “Better Pro Am is brilliant – there is nothing else out there like it.” Mark L.
Dear Barry, You are the genius! I am not even 40% familiar with your indicators and I could not resist to trade on SIM account. It is like a roadmap! Every day minimum $250 on one contract of ES. I really do depend on your indicators to lead my decisions every day. Thanks so much. You are doing great work and helping loads of people, you have helped me enormously, I thank you deeply. You definitely have the best trading site on the web by far. And the indicators are light years ahead of anything else I could find, once one knows how to interpret them they are very reliable, awesome job. I don't think there is a better system out there! Barry, I've been using your indicators for a good while now (2+ years) & hands down I don't think there is a better system out there! Thank you for all you do. I have owned your indicators for some time now, and they are phenomenal! Just wanted to say thank you, your work is the BEST. I have purchased training courses and indicators for more than 3 times what you charge. However, I have never achieved the level of clarity from previous training or the other indicators I have purchased that I have from your Better Indicators, even in the short time I have been using them. Nothing is a sure thing - but your indicators coupled with discipline and money management are a winning system. Your 3 Better indicators Rock. Wow. They are exceptional. I’ve been using your indicators for about 3 years and are consistently successful, thank you! It took a little while but you have changed my trading DNA. Your methods really open up new and much improved ways of looking at the markets! It's unbelievable how much clearer the market picture has become. Thank you for sharing your knowledge and your indicators with the rest of us. It has literally changed my life, enabling me to finally be successful at Day Trading. I never buy and hold anymore and I sleep much better each night. Your 3 non-correlated indicators are absolutely great. As I have disciplined myself to use them, I have had very good results. Your indicators are priceless on ES and stocks, they're amazing when I mix them with old-style support and resistance levels. I have looked at literally dozens of systems / strategies / indicator packages. I can say that your simple, logical and sensible approach using 3 separate uncorrelated indicators is the best by far. Your indicators have given me faith in making this a job for life! Thank you! These programs are AMAZING! The indicators are almost perfect and are allowing me to grab much more profit per trade. Thank you so much! Your indicators are the best of any I've ever used ... I've used the Jurik indicators for quite some time and find your 'Better' indicators far superior. Your system ranks at the top for rationality, simplicity and elegance - great system! Thank you for your indicators and your daily web recap of your ES trading. 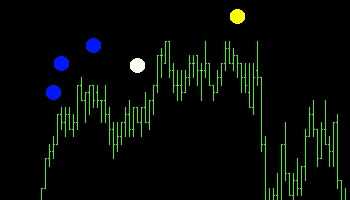 After focusing on only price action for years your non-correlated indicators are powerful. You have helped me for the first time in years become a profitable trader. I'm incredibly impressed with Better Sine Wave, Momentum and Pro Am - when used together they give you a real 'edge' ... It is very generous of you to sell your indicators at such a low price - it is very easy to spend 10 times what you charge for indicators which aren't even half as effective! Of all the indicators I have accumulated over the years, these are the only ones I use. Excellent work! You have probably heard this before but thank you, +$762 USD on the first ‘Better’ indicator setup. I can't believe how accurate the indicators are when you learn how to interpret them.